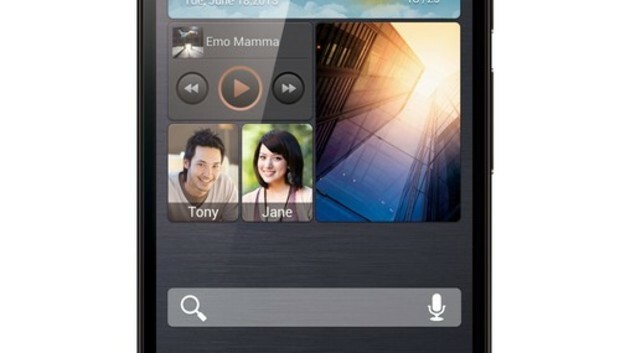 Huawei Technologies' much-leaked Ascend P6 smartphone is the world's thinnest at 6.18 millimeters, and has the highest-resolution front-facing camera at 5 megapixels, the company claimed at the phone's London launch. In comparison, Apple's iPhone 5 measures 7.6mm and has a 1.2 megapixel front-facing camera. The phones have similar 8 megapixel rear cameras, however, and the P6 is a shade heavier at 120 grams to the iPhone's 112g. The P6 is perhaps better compared to the more recent Galaxy S4 from Samsung Electronics. Both run Android 4.2.2, but the S4 has the faster processors: It has either a 1.9GHz quad-core or a 1.6GHz octa-core processor, compared to the P6's 1.5GHz quad-core chip. The P6 has a 4.7-inch display, smaller than the S4's but larger than the iPhone's. Like the S4, the P6 can be used while wearing gloves, according to Huawei. Its battery has a capacity of 2000mAh, smaller than that of the S4, but Huawei said it has a number of power optimization technologies that can extend battery life by up to 30 percent. Like Samsung, Huawei has chosen to put its own proprietary user interface layer on top of Android. Huawei's is called Emotion UI, and the version on the P6 includes new panoramic photo and face recognition features, in addition to Emotion's existing Me Widget and SmartReadign functions. Carolina Milanesi, a research vice president at Gartner, sees the Emotion UI as one way for Huawei to differentiate its products from competitors offering the stock Android experience but, she says, "We have clearly seen Google point out on quite a few occasions lately that stock is best." "If I look at competitors like Samsung I would say brand and design are more of an appeal than UI," she said, and the user interface "has to be extremely good and engaging to actually create stickiness for the brand." The phone will come in black, white and pink. It will ship first in Huawei's home market, China, this month and in July will go on sale through European network operators including Vodafone, Telefonica and Orange, and phone resellers Carphone Warehouse, TalkTalk, Media Markt & Saturn. Huawei's emphasis on the thinness of the phone, and its choice of colors, show that its thinking is about two years behind the rest of the market, according to Milanesi. While a phone's thickness or color does matter, especially as phones get larger, "It has stopped to be a critical factor for consumers," she said. It's perhaps no surprise that Huawei's thinking on smartphones lags the market, as it started well behind the pack. Despite almost doubling its production of smartphones over the previous year, it only just broke into the top five in the first quarter. Huawei shipped around 9.9 million smartphones in the first quarter, up 94.1 percent on a year earlier, according to market research company IDC. That made it the fourth-largest smartphone manufacturer, with a market share of around 4.6 percent, just behind LG Electronics, which shipped 10.3 million smartphones, and just ahead of Chinese rival ZTE, which shipped 9.1 million. However, the three vendors lag far behind second-place Apple (37.4 million) and market leader Samsung Electronics, which shipped 70.7 million phones in the first quarter.